Situated just one mile from Whitchurch sits the four-star Macdonald Hill Valley Hotel Golf and Spa which boasts not just one, but two brilliant 18-hole golf courses as well as a great restaurant and extensive leisure facilities for guests to enjoy during their stay. The hotel boasts an idyllic location as it is set within acres of peaceful gardens but conveniently close to motorway networks. 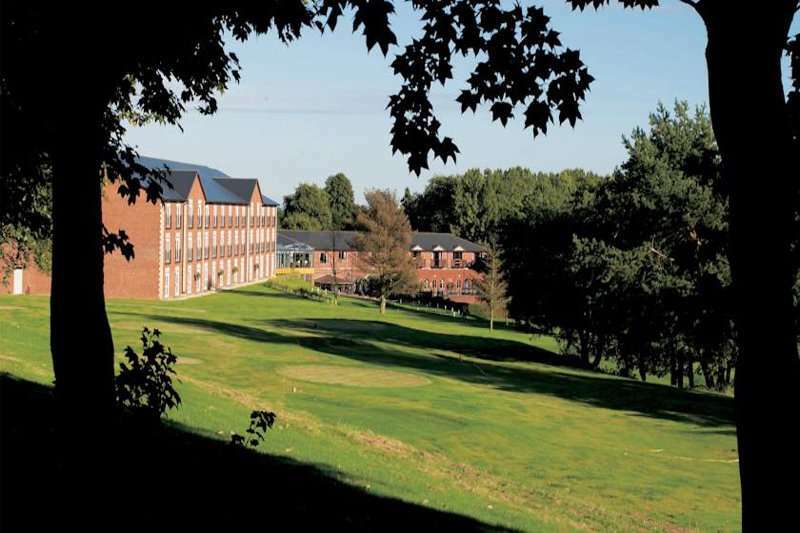 The hotel boasts a great leisure centre which features a pool, a gym and a nail bar and there is also the Hill Valley spa which offers massages, facials and other beauty treatments for a small extra charge. You can also relax in the sauna and steam room when you are not enjoying a round on one of the excellent 18-hole golf courses onsite. 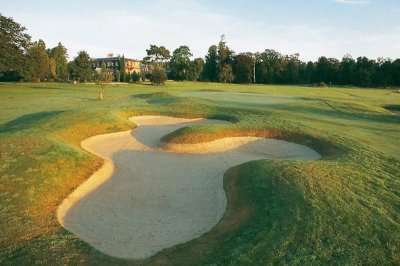 The two courses at Macdonald Hill Valley Hotel Golf and Spa are the Emerald course at Hill Valley and the Sapphire course at Hill Valley. 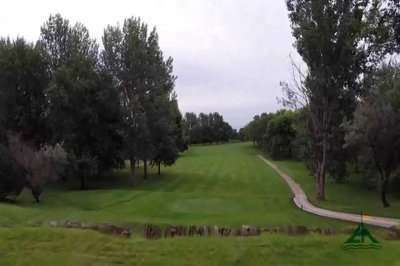 The Emerald Championship Course boasts undulating fairways, strategically placed bunkers and a real challenge to mid-level and experienced players and the Sapphire Course is a great round testing golfers’ short game and is less challenging. 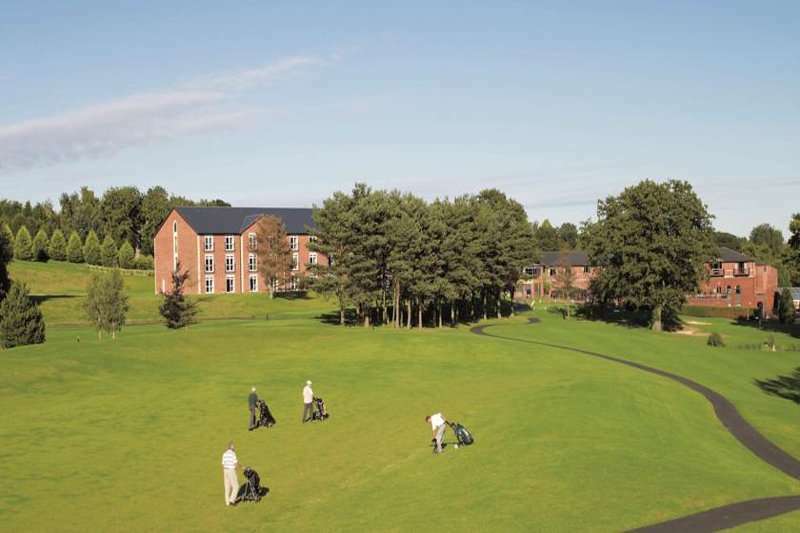 With two fantastic golf courses, a fantastic spa and a great location nearby to other Macdonald golf courses look no further for your next golf holiday in the UK. This excellent four-star hotel boasts brilliant service, spacious, comfortable and well-appointed rooms as well as a fantastic restaurant and bar. The rooms are all bright and modern and boast large beds and ensuite bathrooms which are appointed with complimentary luxury toiletries. Within the bedrooms, there is a flat-screen TV as well as complimentary Wi-Fi and tea and coffee making facilities. 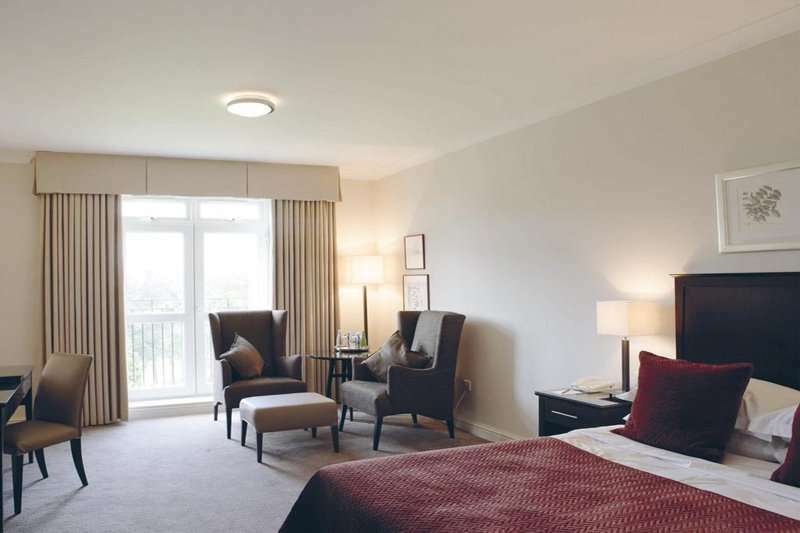 You can treat yourself to a room upgrade to a club room where you can enjoy stunning views of the first tee and the 18th green or the executive rooms with an upgraded bathroom and private patios from which to admire the views. 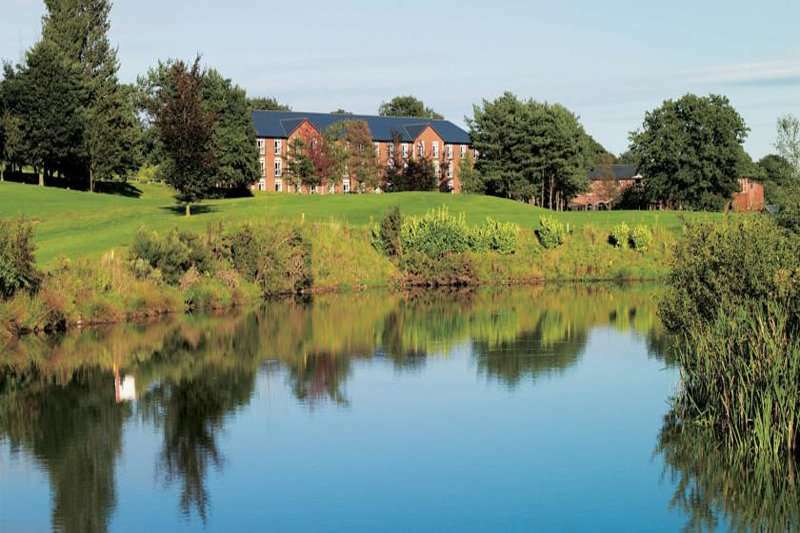 As there are many local towns and cities including Whitchurch, Crewe, Shrewsbury and Nantwich, you may choose to venture out of the hotel for dinner and drinks but, if you choose to stay in the hotel, you won’t be disappointed. 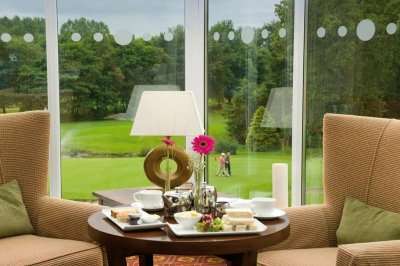 The hotel’s Borders Restaurant serves relaxed, modern dishes which have been created using the finest, locally sourced ingredients but before you enjoy your meal, have a rink in the Masters Bar whilst you enjoy the stunning views over the golf courses. The Masters Bar is also the perfect place to enjoy your pre-round drink whilst you reminisce over your round on one of the superb golf courses here. 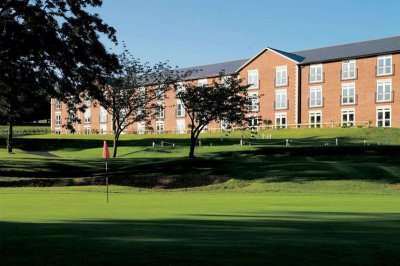 The Macdonald Hill Valley Hotel, Golf and Spa is a great destination for your next golf break in the UK.